Michael ‘J’ Stapley is retired and currently serves as a member of the Utah Citizens’ Counsel which is made up of former leaders in the Utah community who have a desire to continue making a contribution in making a better Utah. Prior to his retirement Michael served for three years as the President of the Argentina Buenos Aires South Mission for the Church of Jesus Christ of Latter-Day-Saints. In his working career Michael served as President and Chief Executive Officer of Deseret Mutual Insurance Company and Deseret Mutual Benefit Administrators (DMBA). He was also a trustee for Deseret Healthcare Employee Benefits Trust and for Deseret Mutual Employee Pension Trust. These companies collectively provide a broad range of benefits to The Church of Jesus Christ of Latter-day Saints and its affiliated organizations. These benefits include medical, dental, disability, life, pension, and savings plans. There are 37 employer clients and about 130,000 plan participants. DMBA also manages or monitors benefit plans in more than 75 different countries outside of the United States. Previously, Michael served as the Acting Executive Director and Deputy Director of the Utah Department of Health where he worked extensively in the development of health care policy. Mr. Stapley also worked as Director of the Office of Management Planning in the Health Department and Director of Management Audit in the Utah State Department of Social Services. He also worked for a short period of time as a research assistant for Senator Wallace F. Bennett in the United States Senate. In 1998 Mr. Stapley was appointed as a member of the Advisory Committee on Employee Welfare and Pension Plans in the U.S. Department of Labor during the Clinton Administration. In 2001Mr. Stapley was appointed Chairman by the Secretary of Labor. Established by Congress under the Employment Retirement Income Security Act (ERISA), the council provides advice to the Secretary of Labor on employee benefit issues. Up until his retirement Michael also served as a Vice-Chair of the Executive Committee of the ERISA Industry Committee (ERIC) where he also served as Chairman of the Task Force on Retirement and Healthcare Reform. This Task Force developed a proposal entitled A New Benefits Platform for Life Security which is one of the reform proposals that was circulated in Washington in the early years of the Obama administration. As part of his role with ERIC Michael testified before a House of Representative Committee considering alternative health reform initiatives. ERIC represents the largest employers in America in sharing benefits strategies and in lobbying efforts related to employee benefits. Mr. Stapley is the founder of the Utah Health Information Network (UHIN) which is one of the leading companies involved in electronic health care commerce in the United States. He served as Chairman of the Board until he left for Argentina. He also served as vice chairman of the Medical Education Council for the State of Utah which establishes policy for graduate medical education within the state. He was a member of the Board of Directors of Health Insight. 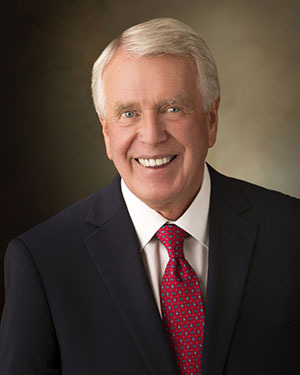 In the past, Michael has served as Chairman of the Utah Health Access Steering Committee, as a member of the Utah Health Data Committee, and chairman of the Governor’s Task Force on Catastrophic Health Expenses and the Governor’s Task Force on Financial Barriers to Quality Health Care. He has also served as President of the Utah Health Insurance Association. Over the past several years he has worked with the Reforming States Group sponsored by the Millbank Memorial Fund in New York City in implementing a variety of health related initiatives designed to help states more effectively deal with health care costs, quality, and access. Michael and his wife Susan live in Bountiful, Utah. They have eight children. He and his family enjoy skiing, camping, and backpacking.